Rebecca Culver, a catechist at All Saints Church in Taylorsville, Ky., believes that each person has the power to help others. She’s been doing just that for the last three decades, teaching religious education since she was 18 years old. Now she’s been honored for it. This fall, Culver and 23 other volunteer catechists from around the United States were named outstanding catechetical ministers. The distinction is presented annually by CATECHIST Magazine and the National Society for Volunteer Catechists. Culver and the other honorees are featured in the October issue of CATECHIST Magazine. She was also recognized by her parish on Catechetical Sunday and at the Archdiocese of Louisville’s annual Catechetical Ministry Celebration last month. The archdiocese also recognized more than 80 other catechists during the celebration. The formation of catechetical ministers is one of the more than 100 services supported by the Catholic Services Appeal. That’s because “teaching — and the concept of teaching — is ultimately about passing on the culture from one generation to the next,” Turner said. 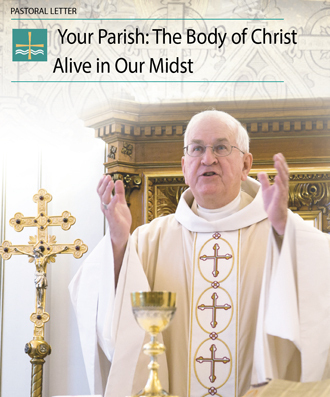 “Catechists are passing on the Catholic culture. They are providing a lens, a way to look at the world for people of hope, for people of justice. Diane Black, who nominated her for the honor, said Culver is an inspiration to catechists, parents, students and parishioners at All Saints. “She is extremely devoted to her own formation and that of the children in our parish,” said Black, the parish’s director of religious education (DRE). “She’s mentoring one of our new catechists this year and she’s encouraged our catechists” to enroll in the archdiocese’s catechist formation classes through the Archdiocese of Louisville Ministry Institute (ALMI). Black said Culver’s commitment to learning — in the midst of a full-time job and raising children — makes her a great example to other volunteer catechists. She estimates that Culver takes 20 to 25 hours of formation classes each year. Culver’s service as a catechist began at age 18 when her mother, who was a director of religious education, asked her to teach a class on her own. But about 13 years ago, Culver and her friend, the late Annette Campbell, decided to get serious about their calling as catechists and enrolled in the archdiocese’s catechist formation classes. Campbell died of cancer in 2007 and Culver promised her friend that she’d finish what they’d started — that she’d attain master catechist certification. She received that certification a few years ago, but she continues to take classes. Annette Campbell’s example also led Culver to her conviction that each person has the power to help others, she said. She left a factory job — and higher wages — to work as a secretary in a hospital unit where people recover from surgery. She tries, she said, to help improve everyone’s day — from the doctors and nurses working long hours to the anxious patients.